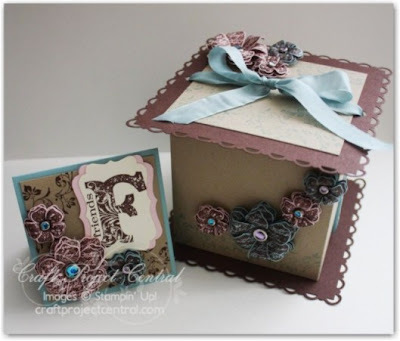 Here’s a pretty little gift box and matching note card that you can make, fill with something special and give to that special friend! Change up the theme and make the gift box for any special occasion from birthdays, holidays, showers, and more! This pretty gift box and card were designed by Deanna! To get the instructions for Deanna’s fabulous project, just subscribe to September over at Craft Project Central! Ah! I LOVE this.. All you little boxes are to die for!